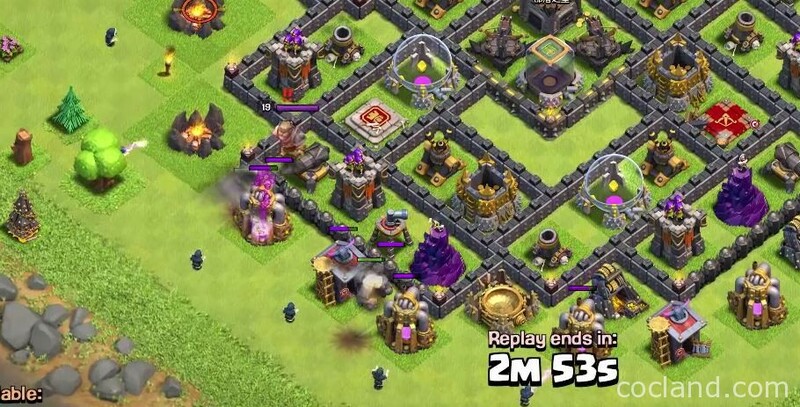 GoWiVa is a quite new Clash of Clans attack strategy and not many players know about it. 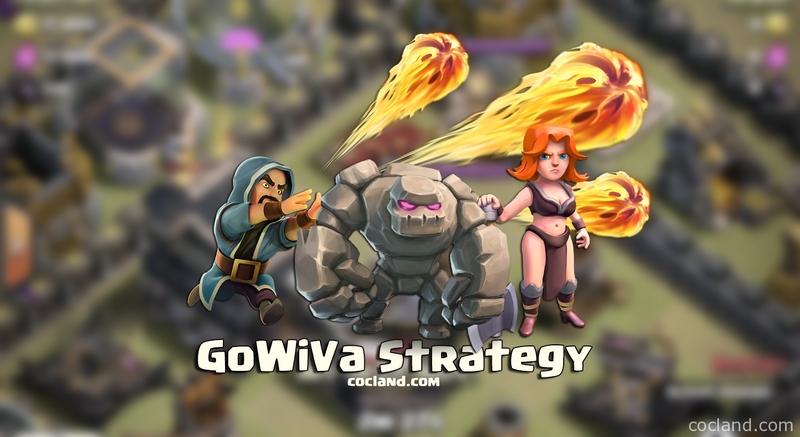 I would like to say that GoWiVa is a perfect alternative version of the GoWiPe strategy and much stronger (IMO). The name of this strategy is based on 3 main troops that we use: Golems, Wizards and Valkyrie. The best TH levels to use this strategy are Town Hall 8, 9, 10 or even 11. 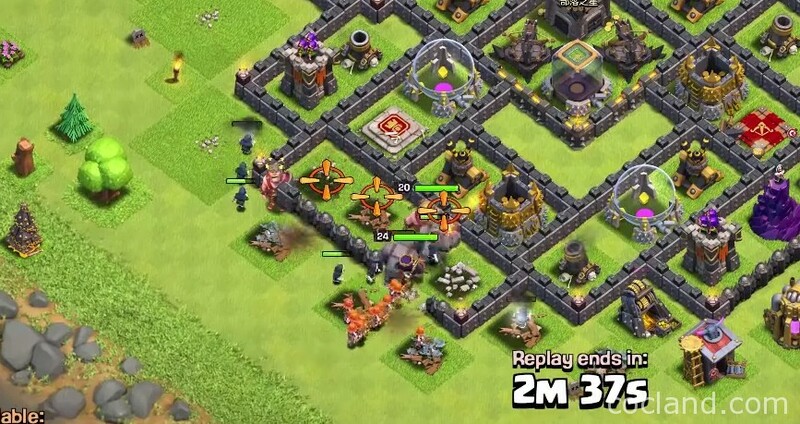 As we all know, GoWiPe is the most popular attack strategy in Clash of Clans. 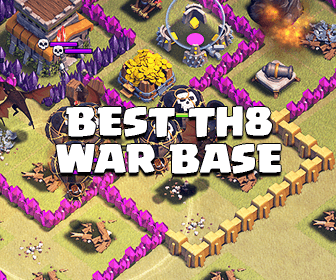 As a Town Hall 8 player, you may find that GoWiPe is perfect for a 2-star win but it’s still quite hard for achieve the last star against an almost maxed TH8 base. We need a replacement for P.E.K.K.A, which has high damage, better movement speed and attack speed,… and it is the Valkyrie. Seems like more and more players using GoWiVa in both farming and Clan Wars as Supercell increased her damage and decreased the delay after she locks on targets. The composition of GoWiVa is mostly the same as GoWiPe (P.E.K.K.As get replaced with Valkyries). At the first time, I strongly recommend you use this composition because it works perfectly with almost Town Hall 8 bases. You can modify it and find the best one for you after a few times. 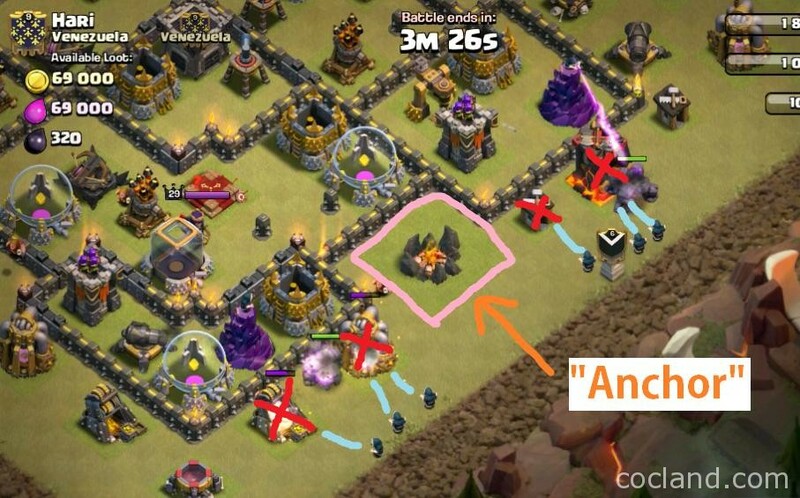 Don’t use this strategy when either your Golem is level 1 or your Wizard is level 3. Wall Breakers also play a big role in this strategy, you may also want to get them to level 5 as soon as possible. The higher level troops and spells are, the easier your attack is. Never use this composition until you have maxed Army Camps (2oo housing spaces at TH8 and 220 at TH9). I am a new Town Hall 8, how should I upgrade my troops? If you want to use this strategy, you should upgrade your Golems at first, then Valkyries, Wizards and Wall Breakers. Also, don’t forget to upgrade your Healing Spell and Poison Spell too. Why should I use Valkyrie? Very powerful in Clan War, trophy pushing and even famring. Very easy to use (much easier than P.E.K.K.A). You can use Haste for a big group of Valkyries. You don’t need extra damage from the Rage because Valkyries have a ton of damage themselves. It’s maybe more efficient way to speed them up. You can replace 1 Healing Spell with 4 Haste Spell If you are at Town Hall 9. If the base you are going to attack has ground CC troops, you may don’t want to use Poison Spell as your Valkyries and Wizards can take them out quickly. It’s better to use a Earthquake Spell or Haste Spell. Try to cover as many defenses as possible with your Golems. Mortars and Wizards can kill your Wall Breaker Squad anytime. Watch them and drop your WBs wisely. Don’t forget your Heroes. Activate your Queen’s abily when she is nearly killed (or when she starts attacking a defense with red HP). Activate your King’s Ability when his HP turns to yellow so he can live with the raged ability as long as possibe. Just Zoom-In and you can easily watch your Valkyries HP. As I said before, this GoWiVa strategy is almost like GoWiPe so you can do it perfectly If you are a fan of GoWiPe. Using Valkyries is much easier than using P.E.K.K.As. You will find it is much easier to go to the core than using GoWiPe. Don’t forget to use Wall Breakers wisely, they are the keys to go inside every base. Drop your Golems and followed by your Wizards to take down buildings ouside, create funnel for your Heroes and Valkyries later. Drop the Barbarian King and the Archer Queen. Take down Clan Castle troops and the enemy Heroes. Send Valkyries, heal them when needed. Lure: Just do it If you can lure the Clan troops out with 1-2 Hogs. Most of the time, you will face a Dragon. Lure it to the corner, drop the Poison Spell in front of it and surround it with your Archers, keep dropping Barbarian when the first one gets killed and you can kill the Dragon after a few seconds. Not Lure: If the Clan Castle is centralized and hard to lure with a few Hogs. You can deal with them later with your Wizards. First step: Start the war! Deploy your Golems to attract all defensive buildings. Your Golems have a ton of HP so you don’t need to worry about them unless you are at Town Hall 11, those buildings need a certain time to kill your Golems. This is the most important step in this strategy. If you do it wrong, you will probably ruin your attack. Don’t place them too close together to absorb as much damage as possible and your Wizards will have more space to release their fire balls. I recommend you place your Golems at the side which has the King and also the Clan Castle. Your Valkyries have no preferred target and the enemy Clan troops and King can distract Valkyries later and ruin your attack. You will need to remove those threats at first. Second step: Fire balls want to fly! Deploy your Wizards down right after your Golems and in a line. When your Golems are soaking damage, your Wizards can destroy all outside buildings without losing a single HP. Without obstructions, your Valkyries can go inside the core directly. Even an obstruction can ruin your war so be careful and remove them all! If you find it hard to send your Heroes inside the enemy base, this small Anchor trick will help you out. Use your Wizards to destroy all building outside except the center one, your Heroes and Valkyries will follow it (the Army Camp in the image below for example) and then go directly into the enemy base. Don’t deploy all of your Wizards, you will need 2-3 Wizards at the end of the War to remove finish off faster. If the enemy base has Storages outside, you can use Goblins to remove them faster. Step 3: Let’s break those walls! The first wave of Wall Breakers is very important. Watch out the enemy Mortars/Wizard Towers and carefully deploy your Wall Breakers. It’s better to send your Wall Breakers inside when the enemy defensive buildings are dealing with your Golems. Wall Breakers don’t target empty compartments unless all buildings are destroyed. Wall Breakers will target the compartment which is being attacked by your Heroes. Step 4: It’s time for Valkyries. This is the most awesome part of the attack! After deploying Wall Breakers, you will know where to deploy your Valkyries. Once the Wizards clear all outside buildings, deploy your Valkyries immediately or they will not have a certain target. You should also send your Heroes at this step. Once the Valkyries are inside the base, they will do the rest of the attack! Step 5: More Wall Breakers! To breaking into the core and take out the Town Hall faster, you need to deploy the rest of your Wall Breakers. Just deploy them after your Valkyries so they will go the same way. Don’t do this step too late because your troops don’t need too much time to destroy all buildings in the first layer. You may also want to drop your Jump Spell or Earthquake Spells at this step to get into the core easier. Step 6: It’s time to use your spells. Once most of your troops are getting into the core and the Clan troops are coming out, It’s time to use your Spells. All you need is to the Healing Spells correctly to create a ring for your troops. Because of plenty of defensive buildings and clan troops, If you drop your Healing Spell too late, you will lose your troops. You will also need to drop the Poison Spell to slow down the enemy troops as well as drain their HP. Don’t use all Healing Spell at a time as your Valkyries have pretty nice HP and you will need the last one while clearing the rest of the base! The Valkyries always attempt to attack at least 2 buildings at the same time. By understanding this, you can easily predict where they will attack next. Always heal as many Valkyries as possible, in dense arenas, where they I’d like to attack first. Step 7: The last work. Deploy the rest of your Wizards/Archers/Goblins to complete the attack faster. Drop your Healing Spell when needed and get a 3 star win! The video above is pretty old but also is a very great example for you to see how exactly this strategy works. 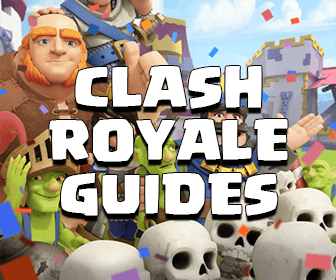 If you have any question or suggestion, feel free to comment and help me improve this guide! Also, please do me a huge favor by sharing this strategy with your friends If you like it. I will appreciate it! You rock!